This is basically a sound effect, but a fun one. 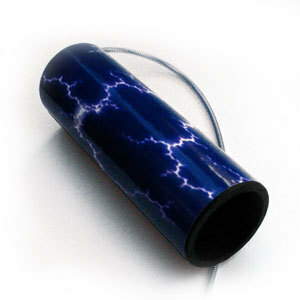 The thunder tube is a spring attached to a membrane covering a tube. Hold it with the spring dangling down, shake it gently from side to side and hear the thunder roll! Jack uses the thunder tube in the telling of his stories "The Tale of Jack Bartholomew Limber" and "Lindsey O'Mallory and the Bandleslurp."